Your example of the spilled milk is wonderful: kids will be more careful when they know they have to clean up after themselves, but they'll also feel proud of themselves and independent for handling the natural consequences. 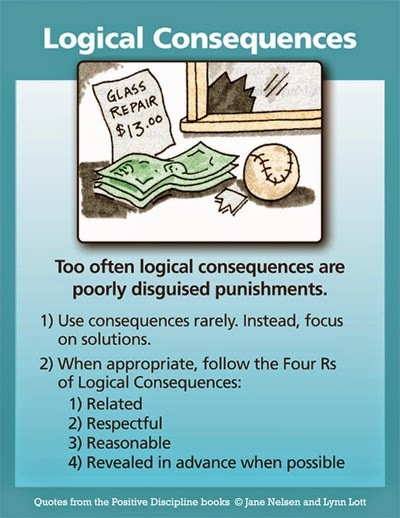 I'm trying to retrain my thinking to point out natural consequences instead of implementing my "own" consequences. What about when your toddler deliberately pours his milk onto the floor? I still have him help clean it, but this is evidently not working to change the behavior! 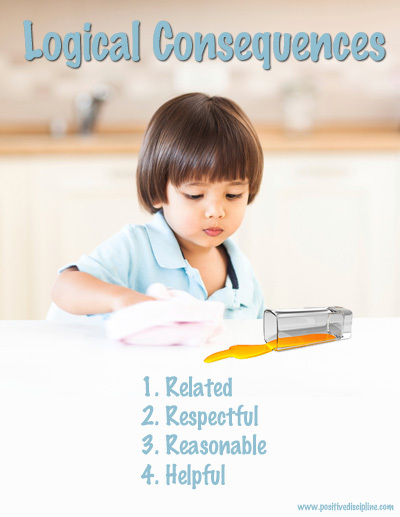 Have you asked your son to help you come up with solutions to the problem of deliberately pouring milk on the floor? He might have some good ideas. You also might want to check out Connection Before Correction. How do you respond to a child who constantly mimics his younger sibling and parents? We've tried to teach him that mimicking is rude and hurtful. We don't know why he does it. We desperately want to create a home climate of love, belonging, and acceptance. Do you have any suggestions for how to help him stop mimicking? What would work when your four year old hits their siblings. We feel like we have tried everything. There are a couple of ways to get answers to questions. You can go to the following link http://positivediscipline.com/search.html and type in a topic. You can also join our private social network http://positivediscipline.ning.com which is a friendly, encouraging Positive Discipline community. Questions are answered by Dr. Jane Nelsen, Certified Positive Discipline Associates and other parents.